For a Twihard, this was Christmas Day. The world Stephenie Meyer created to support our beloved Bella and Edward was getting a chance to be explored on film. Not only was this a studio backed production, but Stephenie Meyer wanted to open up the doors to the fans. Have the fans direct the short films. Let the fans write the scripts. Have the fans vote which stories would be told. These short films became bigger than just Twilight being back on our screens. Our community was coming back together as it did when the Twilight movies first hit theaters in 2008. After the directors and scripts were chosen, another contest was held for a fan correspondent position on each of the sets. Here was my moment to get involved. 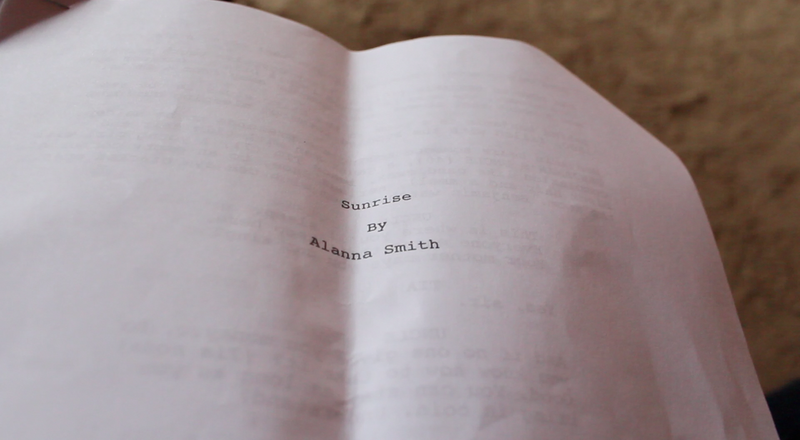 I recorded a 30 second video, and a few weeks later I received an email saying I was chosen to be a correspondent on the set of Sunrise directed by Amanda Tasse and written by Alana Smith. The first week of May 2015, Sunrise was filming in Santa Clarita, California. 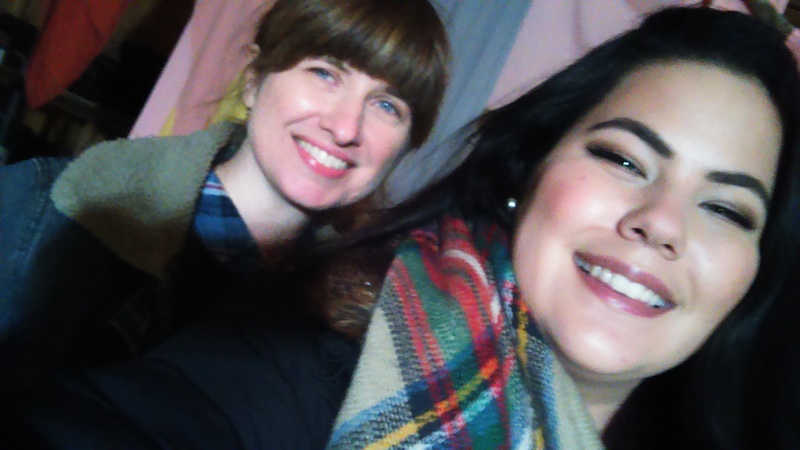 I was there for the first night of filming. It was freezing. We had Forks, Washington weather for a film that was to be set in Egypt. Kinda poetic, right? 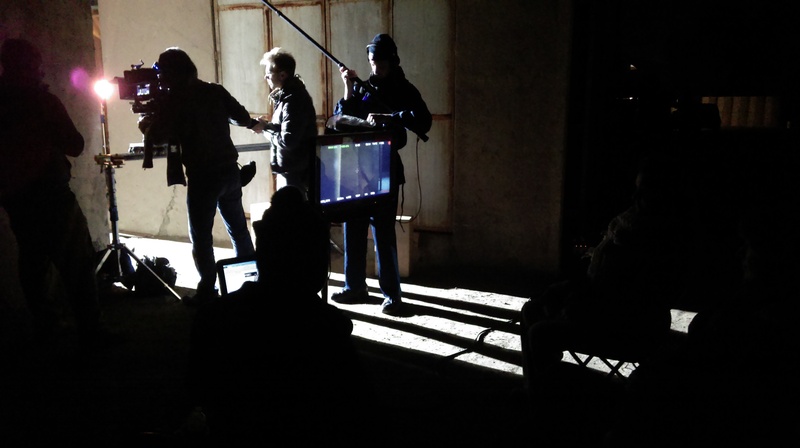 I had never been on a movie set until that night. I witnessed two scenes filmed in the span of eight hours. So many different takes and camera angles, everyone on set has to be alert and watching for continuity and striving for better. 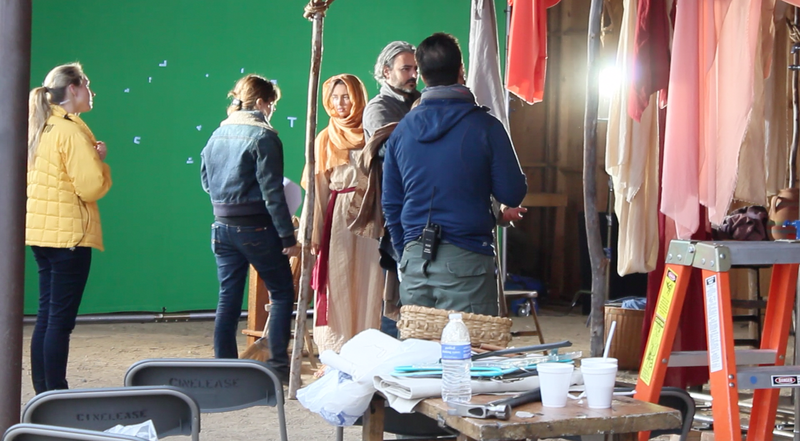 Yet, the set still felt very calm, and everyone was so welcoming and warm. 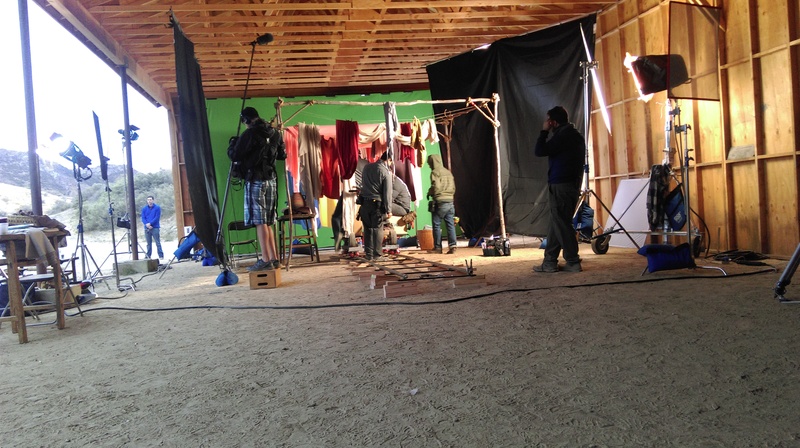 We were on a permanent set used for many different productions in Hollywood. The one most recently and widely known was American Sniper. The producer gave us a tour around the set and showed us their plans for production. The permanent set was incredible and felt like I was transported back to the Middle East. I also got a little thrill out of knowing Bradley Cooper had been in the vicinity. What I hadn’t expected was how dark it was going to be. I was there for a night shoot. There weren’t any city lights, we were in the middle of nowhere. The first scene I witnessed was of Tia and Benjamin, chronologically after their close call in the town’s center. We broke for lunch (dinner) when we wrapped the scene, and moved into the permanent set for the scene where Benjamin gets attacked. Seeing how the production team lit the scene, and how they filmed it, to the finished product now personally defines movie magic. I’m so grateful for this wonderful experience. I never thought I would be on the set of a Twilight Saga film, the book series that changed my life for better, but now I can officially say I’m a small part of the franchise. Thank you to everyone who made these shorts possible. 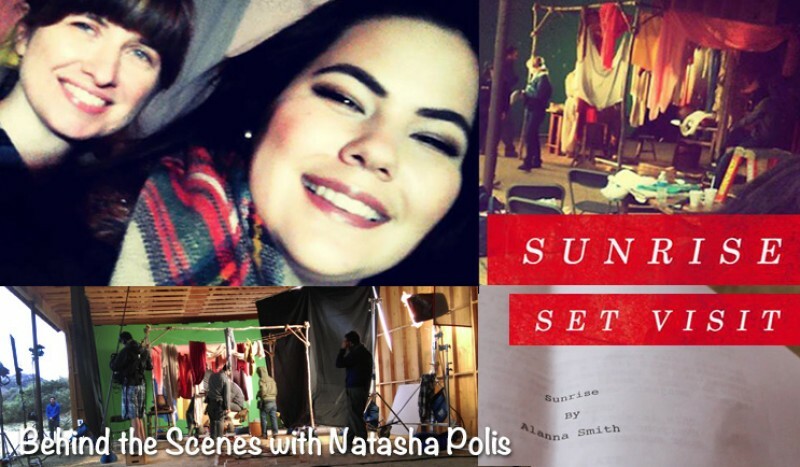 I may be a little biased, but I hope that you will vote for Amanda Tasse and her team’s beautifully done Sunrise Storytellers Short Film.